Typical delay time 500 nsec. 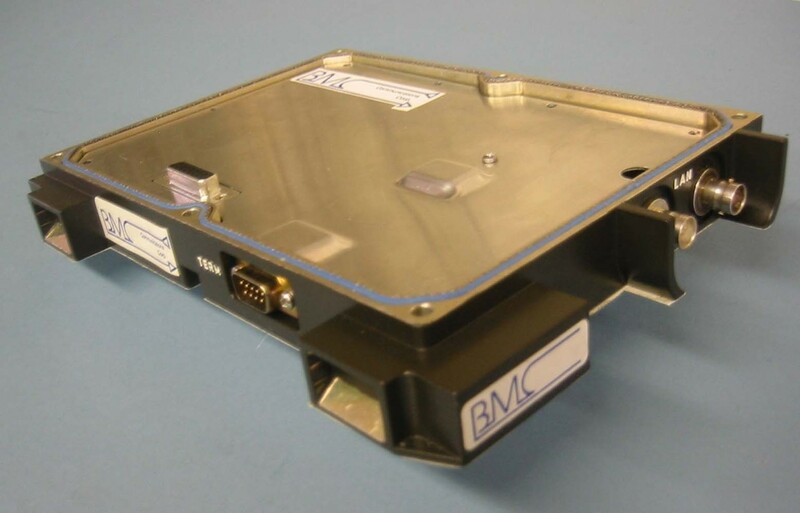 The BMC repeater board is an efficient solution for long connections between devices. The unit automatically recognizes incoming information and retransmits without any delay. The repeater has up to two dual redundant channels for full support to MIL-STD-1553 requirements. Using this format, the repeater transmits to a common “input” and data is retransmitted through up to three “outputs”. The system constantly tracks signals coming from the three connectors. If the two “outputs” transmit data the first output cached by the intelligent processor is going to be retransmitted to the common “input”. 1- Single or Dual repeater- single channel or dual (A & B). 3- Repeaters with or without a box. 4- Repeaters with or without a power supply. 5- Embedded Bus Analyzer through standard RS232 serial port. 6- Customize PCB shape to meet customer requirements. humidity of more than 90%. & Shock Procedure I Table 514.4-AII. Bounce Loose Cargo - MIL-STD-810E, Method 514.4, Procedure III. Pulse duration: 100msec ± 10%.